Stephen Cassidy is the current Mayor of San Leandro. He was elected in 2010 and is expected to run for re-election in 2014. He is a partner at a large class-action law firm, but specializes in public relations. Cassidy has, overall, been an absent an ineffective mayor. His major focus was on bringing pension reform to San Leandro. He campaigned on a platform of forcing city employees to pay their own share of pension contributions, and thus saving the City $3M a year. While he managed to get the employees to agree to pay their share, they did so in exchange for raises of an equal amount, leaving the City with higher payroll tax obligations but no actual savings. Cassidy has also been frequently criticized on this blog for his attempts to do away with transparency of City operations. He did away with minutes from City Council meetings, so that now the only way of knowing what was said at a meeting is to listen to the audio recording. The recordings are of such bad quality that they don’t work with transcription software. Cassidy has also consistently violated the Brown Act and, under his administration, the City has started to also violate the California Public Records Act. Cassidy’s administration has been plagued by examples of Police corruption and abuse, including the conviction of an SLPD narcotics officer for selling drugs to an informant, the persecution of men thought to be seeking homosexual encounters near a public park, the killing of an unarmed mentally-ill man and the growth in surveillance of citizens. Cassidy has a been a big supporter of the Chief of Police and advocated that she be given a large race and multi-year contract. Cassidy is also criticized for his lack of leadership, his inability to forge friendly relations with City, community and political leaders, and the lack of time and concern he spends on the City. On the plus side, Cassidy is significantly more intelligent and somewhat less petty than former Mayor Tony Santos, whom he defeated in 2010. This letter is written by former Mayor Stephen Cassidy. If you have children at SLUSD schools or are a student there, I urge you to read it. Summary – The school board is considering implementing major changes to the program for students at our middle schools and high schools starting next school year. While this undertaking is well intentioned and likely will result in positive reforms for our students, the school board has not sufficiently brought parents into the planning process and the changes are too significant for the district to implement well by August 2016. Parents need to know the exact changes under consideration and how they will affect their children’s education. The school board should make clear to the community as it reviews the proposals that – if adopted – they will not be implemented until the 2017-18 school year. On Monday, November 9th, I attended a meeting the school district held for parents and community members on major changes under consideration for middle school and high school as part of what is called the Secondary Redesign. It’s my understanding that the redesign committee is considering changes to the class schedule – such as eliminating the traditional periods schedule and adopting a block or modified block schedule, ways to incorporate career pathway instruction into regular academic courses, how effective the academies at the high school are in serving students and ways they can be improved, alternative education pathways for high school students beyond what the district currently offers, and ending the focus of the Fred Korematsu campus on 9th Grade students and converting into a site for academies. The Superintendent and school board established that redesign committee would make its recommendations for changes at the middle and high schools in time for implementation by the beginning of the 2016-17 school year. Given the large lead time needed to implement such potentially far reaching changes, if the school board decides to adopt the proposals, the school board needs to act in January 2016. And that is what current secondary redesign timeline calls for – school board review of the proposals in January 2016. The meeting on Monday night was the first chance for parents to learn about the work of the redesign committee. The meeting room at the San Leandro High School library was packed with parents along with many students. This link http://sledfund.org/secondary_redesign.aspx from the San Leandro Education Foundation​ website provides a summary of the discussion. In a nutshell, parents were told what has occurred to date and why the committee was formed. The emphasis was on process. No summary of recommendations by the committee – which is still meeting and considering proposals – was provided. However, there was great concern expressed by many parents and students concerning a possible move back to a block schedule for the high school. District administrators stayed until after 9 p.m. to answer every question. We were told that the school board planned to have a work session on the redesign committee proposals in December and would formally consider the proposals for adoption at its January regular board meeting. Aside from an online survey that will be made available next week for parents to complete, the meeting on Monday night was the sole opportunity for parents to ask questions on the secondary redesign changes that district planned to hold. I commented at the meeting that hosting only one community forum (that didn’t review any actual proposals) was insufficient. I asked that another forum for parents be scheduled in January before the school board votes on any proposals. District administrators were responsive and agreed to do so. In considering the matter further after the meeting, I decided to attend and speak at the school board meeting on Tuesday night. During public comments I requested that the board postpone any significant changes to our middle and high schools until the 2017-18 school year. I emphasized that I am not opposed to thoroughly examining all aspects of our secondary programs and working to improve them. Far reaching changes, however, require extensive engagement with internal and external (parent) stakeholders. The current schedule proposed by the school board – even if modified to add a community meeting in early January – remains deficient in providing for meaningful input from parents on the changes under consideration. Without going into too much detail, I am further concerned that the significant changes if adopted will require extensive teacher training and professional development. This can only occur during the school year. And this is simply not going to occur between January and June of 2016. The reform under consideration is too significant for staff to undertake and roll out – well – on the first day of school next August. My children attend San Leandro public schools. Our schools are moving in the right direction under the current district leadership. However, the secondary redesign timeline is too rushed. It appears that the majority of the school board does not realize they made a mistake in approving this timeline. Nor is the school board working to modify it. The core role of the school board is to serve as the interface between the community and district. The board’s number one job is to ensure that the policies and initiatives of the district are in the best interests of our students and that parents and the community have the opportunity for meaningful comment and review before any significant changes occur. Here is a link to the email addresses of all board members: http://www.sanleandro.k12.ca.us/Page/6960 Please write them and share your views. One final note, I serve as board member of the San Leandro Education Foundation. I am not speaking on behalf of the foundation. I am speaking solely for myself. Note: this article has been slightly expanded. If you start seeing a lot of sad and mediocre public art in San Leandro, you know whom you have to blame: the past and current members of the City Council who chose to appoint friends to the newly created Arts Commission instead of people with any sort of knowledge or experience in the Arts. When the City Council created an Arts Commission to decide on how to beautify San Leandro though art, they had the opportunity to populate it with outstanding artists and arts professionals. Instead, three Councilmembers, Michael Gregory, Ursula Reed and Benny Lee, decided to chose their friends and political supporters, despite their obvious lack of qualifications in comparison to other applicants. In District 1, Michael Gregory appointed his friend Jeni Engler to the Arts Commission. Jeni is a very nice woman, an elementary school teacher, a great volunteer with Friends of the Library and a great supporter of the theater program in her church. She and her husband have been friends with the Gregories for a long time, they attend the same church and Michael Gregory honored them with a service award in 2013. However, Jeni Engler does not have either an educational nor professional background in either fine or performing arts, and she listed no art involvement beyond supporting musical theater. – A professional artist/painter and former docent at New York’s Museum of Modern Art with an MA in Art. In District 2, Ursula Reed appointed friend and political supporter Dina Herrera, whom she had previously appointed to the Parks & Recreation commission, despite the fact that Herrera did not file her application to the Commission until after the date when the Council was supposed to announce their nominations. Indeed, Herrera’s application was not included in the packet I received from the City Clerk because I had specified I only wanted those available to Council members before they made their decision. Herrera has been a strong supporter of Reed, endorsing her in multiple races and participating in her political fundraisers. According to Herrera’s application, her qualifications for being in the Commission are: “I am an active community member. 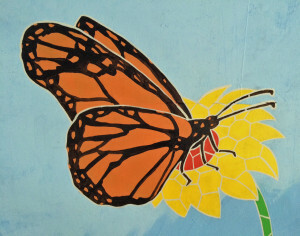 I would love to help beautify San Leandro and my own children perform in San Leandro’s Theater Programs”. – An Arts professor/writer/reviewer/judge/curator/art producer with a BA in Studio Art and an MA in Curatorial Practice. – A graphic designer with experience producing Latin music shows. Things were better in the other parts of town. In District 3, Diana Souza appointed Susan Harlow-Schott, the only person who applied. In District 5, Pauline Cutter appointed Anna Edwards, an amazing African-American artist. There were other qualified applicants, including a typeface designer and professor at California College of the Arts, a brilliant professional sculptor/artist and a curator and artist coach who worked as Deputy Director of the San Francisco Arts Commission (she was appointed to the Commission by Mayor Cassidy), but I don’t think anyone can doubt Ms. Edwards’ qualifications. And in District 6, Jim Prola appointed Kathleen Ott-Davis, an art designer with a BA in Fine Arts over two other applicants, a professional singer of Portuguese Fado and Prola’s own wife (who paints). The City invited people who did not reside in San Leandro, but who are involved in the cultural life of the community, to apply for an at-large appointment to the Arts Commission. There were a couple of extremely qualified applicants, including the Executive Director and curator of a mobile public art gallery with decades of experience in art exhibitions and promotions and a Mexican American professional artist who runs an art promotion company, but neither was chosen by Mayor Cassidy. One single at-large space remains in the Commission. The San Leandro City Council eliminated full minutes of Council meetings several years ago. To make up for this, and keep San Leandrans informed of what the Council is up to, Mike Katz-Lacabe tweets from the meetings. I’ve started compiling his tweets on this blog. You can follow Mike’s tweets at @slbytes. These are the meetings from the 10/20/14 meeting. The Council voted on whether to accept the COPS grant. 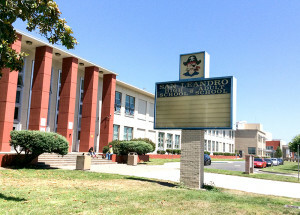 This provides $500K to fund four school resource officers, but requires the San Leandro School district to pay $1.7 million in matching funds. The following day, the School Board tabled the vote on whether to accept the grant until November 18th. Mike Katz-Lacabe spoke both at the City Council and School Board meeting against accepting the grant. According to presentation at San Leandro City Council, San Leandro Hospital had positive revenue in June and July 2014. San Leandro History Walk videos now available at http://www.sanleandro.org/about/hwv/default.asp Videos done by Arroyo High student Jordan Schultz. San Leandro’s Homeless Task Force has met 4 times so far. Liz Varela (Bldg Futures) & Rose Johnson (Davis Street) are co-chairs. San Leandro Homeless Task Force recommends $62k to homeless services from $150k allocated to Building Futures, which got state funding. Liz Varela of Building Futures estimates that there are 50 chronically homeless people in San Leandro. Item 10B on COPS grant for 4 additional school resource officers has been moved up the schedule for the San Leandro City Council meeting. 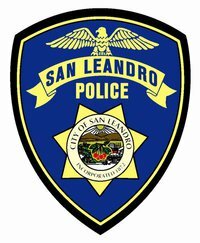 San Leandro’s COPS grant calls for experienced officer for the positions – this means non-entry-level officers. Current school resource officers assigned to San Leandro Unified are Cathy Pickard and Tom Rogers. The proposal is for four total officers – not six. As for why four? Haven’t heard the reasoning about that yet. SLUSD Deputy Sup. Rosanna Mucetti note that paying for San Leandro police officers takes money away from classroom. San Leandro Teachers Association President Jon Sherr says COPS grant subsidizes police department & could be spent in students. San Leandro Board member Corina Lopez asks City Council to table vote on COPS grant until School Board considers the matter. Parent of San Leandro kindergarten student doesn’t want funds vital to schools being spent on police officers. Mayor Cassidy notes that the staff report on COPS grant isn’t quite accurate – but still results in zero net cost to San Leandro. Mayor Cassidy recommends that City Council conditionally accept the COPS grant, but consider a more fair division of costs. In response to City Council member Ursula Reed, San Leandro PD notes that previous grant for 5 officers expires Dec. 2014. City has to pay full cost for 4th year. San Leandro City Council member Cutter expresses concern that school resource officers would be eliminated. SLPD Chief says yes, because of grant expiration. San Leandro City Manager Zapata says there are currently 90 officers – grant would add 4. Says no officers cut when budgets previously cut. San Leandro City Council member Prola will vote in favor of the resolution and let City Manager Zapata figure out the financial terms. SLPD Chief says there are 90,000 calls annually. Says 40% of crime is related to juveniles. San Leandro Mayor Cassidy making strong case for City paying most of cost of officers and suddenly ending city paying for school officers. The San Leandro City Council eliminated full minutes of Council meetings several years ago. To make up for this, and keep San Leandrans informed of what their Council is up to, Mike Katz-Lacabe tweets from the meetings. I’ve started compiling his tweets on this blog. You can follow Mike’s tweets at @slbytes. My comments on his tweets are on italics. At last night’s meeting, Mike was – as it’s often the case – the only candidate for City Council that was present. Al Frates condemns Vice Mayor Benny Lee for advocating for California Waste Solutions Oakland garbage contract. Benny Lee recuses himself from Planning Commission appeal of new gates & fencing for Heron Bay. Lee’s a member & former President. San Leandro staff recommendation is to not allow Heron Bay to construct a gate and fencing to make it a gated community. There are 629 homes in the Heron Bay housing development, 451 of them detached units. San Leandro’s General Plan discourages gated communities. Heron Bay developer told City that it would be and remain open. San Leandro staff shows crime stats for Dist. 4, where Heron Bay is located. Lower than other districts, so public safety not compelling. San Francisco Bay Conservation & Development Commission says that Heron Bay not complying with permit issued in 1994 for public access. Association of Bay Area Governments (ABAG) opposes Heron Bay gates because they would adversely impact access to the Bay Trail. San Leandro Planning Commission alternatives to gating: Neighborhood watch, security cameras, improve exterior lighting. Heron Bay Atty Jeff Tepper says 479 Heron Bay homes support gates. Says residents afraid of becoming prisoners in their own homes. Doug Siden, Director of @ebrpd, supports city policy of maintaining open access – opposed to gating Heron Bay. Betty Mousse (sp?) of San Lorenzo Heritage Society supports San Leandro staff recommendation to not allow gating of Heron Bay. San Leandro Heron Bay resident supports gating. Notes that there are other ways for people to access waterfront. Mayor Cassidy notes that visitor parking is not allowed in Heron Bay or on Lewelling Blvd. nearby making public access difficult. San Leandro City Council member Jim Prola tried to stop development of Heron Bay. Original development called for 3,000 homes – limited to 629. Prola says gating offers false sense of security and then suggests surveillance cameras and license plate readers. Prola says license plate readers reduced crime in Sausalito because there is only one road into Sausalitio. Note: During public comments, Mike Katz-Lacabe corrected Prola, noting that the city that put license plate readers at its entrance is Tiburon, not Sausalito, and that no data supports the contention that crime was reduced in Tiburon as a result of the cameras. San Leandro Citycouncil Member Ursula Reed notes that because she was in wheelchair, she couldn’t access waterfront because of lack of parking in Heron Bay. Note: Ursula Reed is a close ally of Councilmember Benny Lee, so Lee’s Heron Bay supporters might have been led to believe that Reed would support Lee’s interests on this matter. San Leandro Councilmember Michael Gregory won’t support gating of Heron Bay. That’s 3 so far with Prola and Reed. Diana Souza sounds opposed – making 4. Mayor Cassidy says “I don’t see a public safety imperative.” for installing gates at Heron Bay. San Leandro City Council votes 6-0 to approve staff recommendation for denying appeal – no gates for Heron Bay. Note: The Council was ready to approve the e-cigarette ban through its consent calendar back in March. The item was taken off the agenda after I pointed out that the ban included smoking marijuana e-cigarettes, even in one’s home, and that banning tobacco e-cigarettes without holding a discussion about the reasons for the ban would make the City liable to a lawsuit by e-cigarette makers. Paul Cummings of Alameda County Public Health Dept. Tobacco Control Program suggests that e-cigarettes are gateway to regular cigarettes. Four public speakers so far speaking in favor of ecigarette regulation at San Leandro City Council meeting. City Attorney now presenting on massage parlors. SB731 in 2009 pre-empted most local massage ordinances. Family Foot Spa in San Leandro was busted in May 2014 for prostitution. Under current state law, San Leandro cannot enact moratorium on massage businesses that utilize certified massage therapists/practitioners. San Leandro City Council all want moratorium on massage parlors that don’t have certified massage therapists/practitioners. San Leandro City Attorney says Family Foot Spa did NOT have certified massage therapists/practitioners. Note: The problem is that a massage parlor can get just a single certified massage therapist to get a business license, and then have unlicensed employees provide the services. Something other than a moratorium is needed. In a first for the San Leandro City Council, cave drawings are mentioned in discussion of Arts Commission. San Leandro City Council unanimously approves creation of Arts Commission. Note: Back in July, the City Council approved a $156K n0-bid contract to replace surveillance cameras at City Hall. After the meeting, Mike Katz-Lacabe researched the cameras that the Police Department had recommended the City buy and found that they contained hidden microphones that would be able to transmit and record conversations. The presence of the microphones in the cameras was not disclosed to the City Council. Mike brought up this issue to Mayor Cassidy, who brought it up to the City Manager Chris Zapata, and at the July 28th meeting, Zapata said staff would be back with a recommendation on audio surveillance. Their recommendation is to disable the microphones. During public comment, Mike Katz-Lacabe pointed out that audio surveillance would violate employee’s rights to discuss labor issues privately. He also pointed out that while the City Manager says the microphones will be disabled, there will be no oversight to make sure that this takes place. The Police Chief already tried to hide the existence of the microphones from the Council, so it would be imprudent to trust her word alone. San Leandro City Manager says city hall surveillance cameras will have microphones disabled – except at jail. San Leandro City Council will discuss roles & responsibilities of Councilmembers speaking at other government bodies at future meeting. These are Mike Katz-Lacabe notes/tweets on the July 28th San Leandro City Council meeting on the Marina/Shoreline development and expansion of the San Leandro Police Department headquarters. 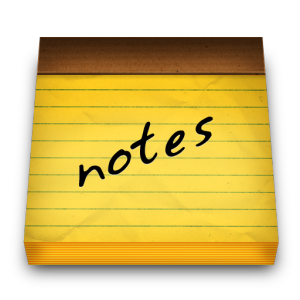 These notes are provided because the Council no longer produces minutes of its meetings. Once again, Mike Katz-Lacabe and Mia Ousley were the only two City Council candidates present at the meeting. San Leandro City Council work session on shoreline fund and police space needs starts now – without Councilmember Michael Gregory. Dredging needed for channels to San Leandro Marina every 4 years and berths every 8 years. Siltation rate for San Leandro marina is 8 to 12-inches per year. Harbor operations at San Leandro marina have a net loss of more than $400k per year. Fund is $2.5 million in the hole. Shoreline operations generated $335,000 in 2013-14. Includes tax generated by San Leandro Marina Inn and restaurants. $94k expected this year. San Leandro shoreline fund expecting $84k in net revenue this year. Outstanding debt is nearly $9 million. Amortized over next 10 years, the annual unfunded liability for the San Leandro Marina is $3.2 million, including dredging of $1.5 million. San Leandro shoreline fund debt is about $1.9 million for Cal Boat Loan and $7 million to city’s general fund. Download tonight’s presentation on the status of San Leandro’s shoreline fund. Earliest that construction on San Leandro Marina project could begin is estimated at February 2017. Projected lifespan of San Leandro boat harbor without dredging is another year or two before boats have problems getting in and out. Mayor Stephen Cassidy: Why is there no federal money for dredging? A: Disappearance of earmarks & Army Corps budget priorities. San Leandro city staff on possible ferry: Sea of parking with a dock. Might not be seen as a good thing by residents. Dwight Pitcaithley is making a documentary on the San Leandro Marina that he will put on YouTube. San Leandro Marina supporter: “The decision is pretty much made… The Marina is sentenced to death.” Put this on the ballot. San Leandro still has an estimated $2.5 million expense for disposing of dredge spoils from 2009, when the Marina was last dredged. Bella Comelo Why cannot the Marina issue be put on the ballot? Let the people decide. 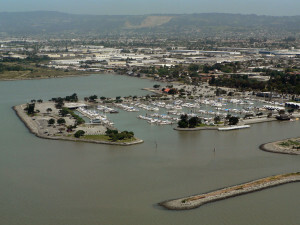 Note that dredging (or lack thereof) of the San Leandro Marina only affects the boat harbor. Park and other areas unaffected. San Leandro Councilmembers Souza, Prola, and Lee seem resigned to the demise of the boat harbor. Lee says $1,500 to $2k per boat in costs. Bella Comelo, If the City Council wants to put it on the ballot, they can. Survey from 2007 showed not enough support to financially support Marina. San Leandro Councilmembers Ursula Reed and Pauline Cutter also resigned to demise of boat harbor. Reed says money needed for roads. Mayor Stephen Cassidy: advisory vote would get lots of support. But what then? Tax to support marina requires 2/3 vote, which previous poll shows would lose. Favors vote on planned development, but that wouldn’t save boat harbor. Also mentions need to maintain roads. San Leandro City Council now onto police department space needs. Current bldg built in 1967; seismic upgrade in 1995. San Leandro Capt. Lemmon: If there was an earthquake like there was in 1989, we wouldn’t be able to operate at needed capacity. San Leandro PD: Needs Assessment report had 3 options to construct a new police bldg from $60 to $71 million (2009 $) to address needs. San Leandro PD expansion options: Address top 5 deficiencies at $6.4 million or address top 3 deficiencies at $3.8 million. San Leandro PD expansion ranked #2 capital improvement project after street repair. Possible funding: Measure Z sales tax increase. Mayor Stephen Cassidy questions how San Leandro City Council can decide on PD expansion options without knowing about how it will be funded. San Leandro Councilmember Prola supportive of $6.4 million option and gym for police department expansion. All San Leandro Councilmembers support the $6.4 million SL police dept expansion. Cutter/Prola express concerns if taxes fail in Nov.
Mayor Stephen Cassidy notes that surveillance cameras approved last week have microphones. Asks for update/clarification on audio surveillance. San Leandro City Manager says that staff will come back with recommendations on audio surveillance. Mayor Stephen Cassidy wants to name street after Officer Dan Niemi, who was killed in the line of duty July 25, 2005.